You are currently browsing the archives for the tag 'anti-hair loss roller'. Men, don’t be afraid of hair loss anymore. Kérastase has heard your cries for help against premature balding. Their solution? 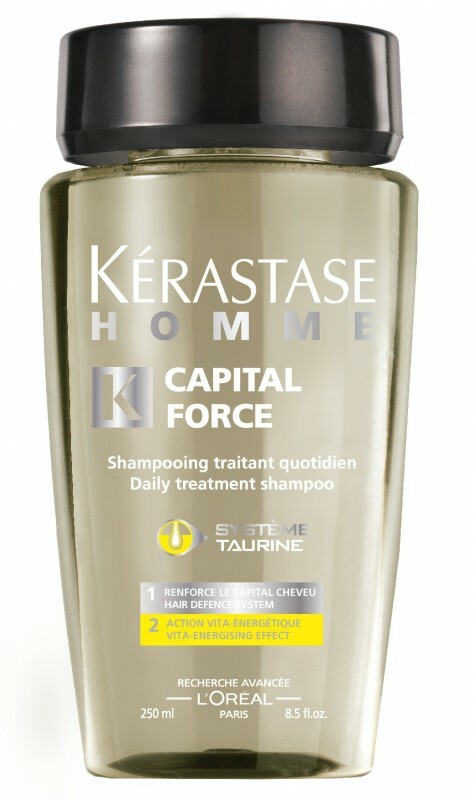 The Kérastase Homme Capital Force — the first hair care range for men designed to protect against hair loss and thinning areas. Kérastase’s 1st double-action roller ROLL-ON ANTI-CHUTE with Système Taurine and a massaging ball helps maintain the density of thinning hair. Apply the product every day for one minute on the receding hair lines and enjoy the cooling effect of this easy-to-use roll-on. Available at select Kérastase salons for CHF 41.- along with the complete product range, including the new Kérastase Homme Capital Force Bain Vita-Energetique, a shampoo for daily use formulated specifically for normal hair types. Its superior three-tiered nourishing, stimulating and cooling action helps to achieve a healthy scalp and to strengthen the hair fibre, CHF 26.-.